Katherine Pierce (The Vampire Diaries). credits go to the creator!. 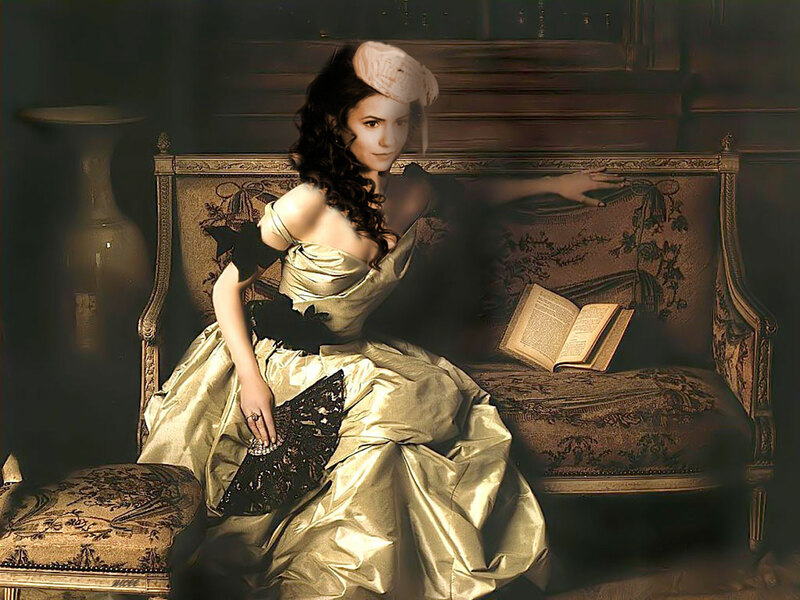 HD Wallpaper and background images in the HaleyDewit club tagged: the vampire diaries katherine pierce favorite series. This HaleyDewit wallpaper might contain полонез, киртл, kirtle, ужин платье, формальный, вечернее платье, бальное платье ужин, and формальное.